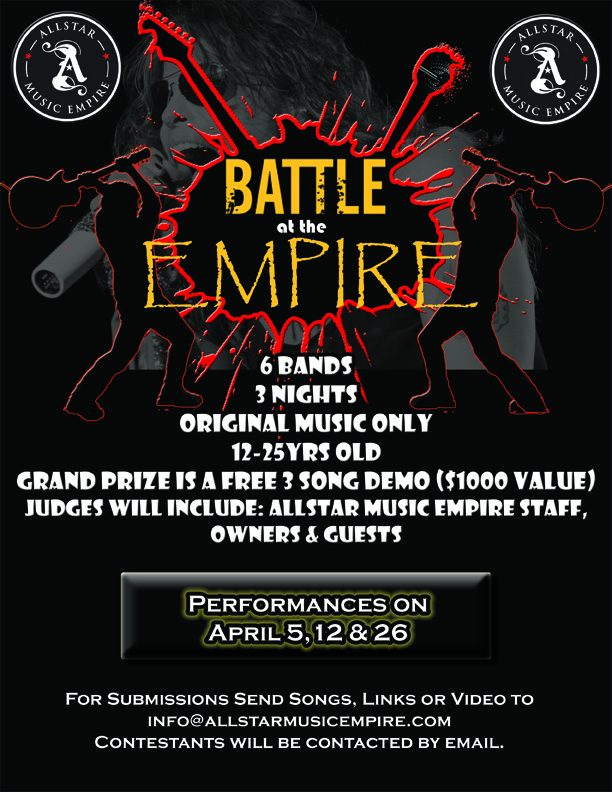 Allstar is having our 1st Voice Competition and Battle of the Bands in April. 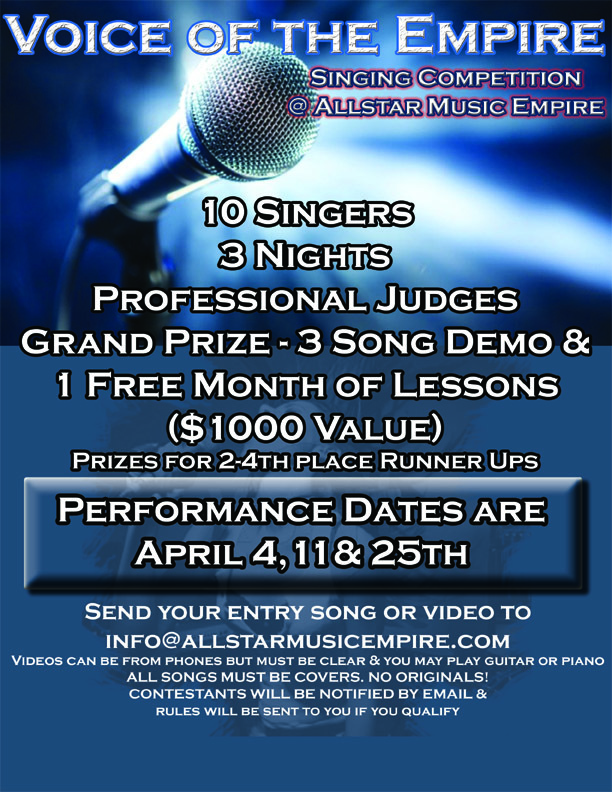 We are looking forward to hearing what great talent is out there. Be sure to contact us if you are interested in participating.